Posted July 9, 2015 . Filed under CMC News, Placements. Currently Lenovo is the #1 PC manufacturer in the world. For such a large company, the placement scheme is quite new, only 2 or so years old, however, in spite of this, students are highly valued and are given a substantial role with a variety of tasks and responsibilities. Upon beginning my placement, I literally stepped into a newly created role. This has allowed me to define and expand the position and in doing so, to take on a lot of responsibility that I would never have expected. 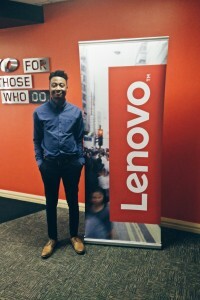 Another encouraging and inspirational aspect that I have found at Lenovo is that my manager used to be a placement student himself! It’s been great. It does take a bit of time to adapt to the 9 to 5, but once you do it’s all quite rewarding. I’ve settled into my team well. While it is quite a relaxed atmosphere, you still have to be on your toes. I’ve been working mainly around advocacy, SEM and customer engagement so it’s been quite a varied workload. I’ve been fortunate to have had several over the course of the year, with still two months left of my placement. Launched an employee advocacy platform internally that’s been taken and rolled out globally across the company (around 60,000 people) by Lenovo’s CEO, Yang Yuanqing. 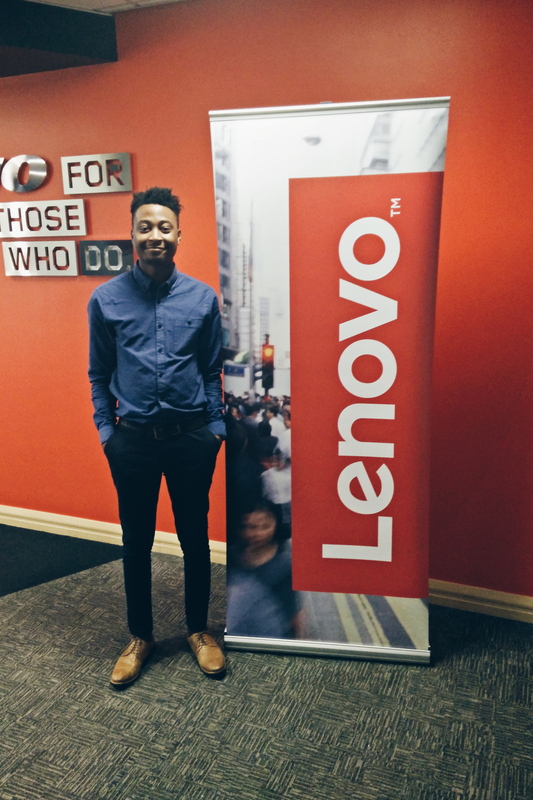 We’re due to launch a customer-facing one in the upcoming weeks called, “Lenovo Champions”. Building a Landing Page for Lenovo’s Chromebook range that was then taken and adapted for the whole EMEA customer base. Setting up an EMEA engagement tracker to assist all the European Marketing Directors to help track and monitor results across the course of the year. Presenting in front of EMEA VP’s on Advocacy and also to the entire UK&I based office on the latest range of YOGA Products. I’ve found it very helpful, with quick response to emails keeping me well informed! Posted July 6, 2015 . Filed under Alumni, Industry, politics and media, Students. ….”This stirs up sentiment because they’re the colours of Southampton football team and, since the Royal Navy is a key influence here, it only makes sense to make it blue”, say Alex. 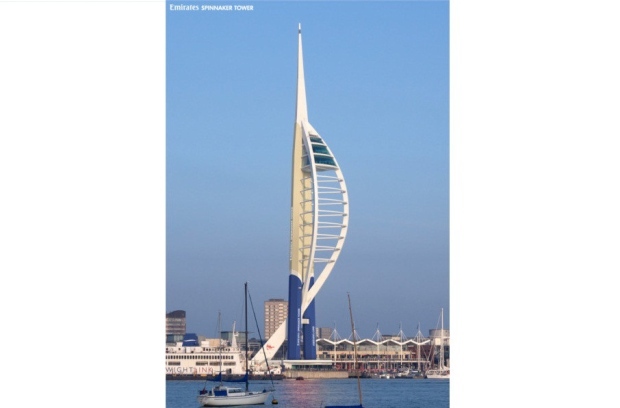 Alex Judd, former BAPR student at BU who graduated in 2012, was not keen on the idea that his hometown of Portsmouth would be having their landmark Spinnaker Tower painted the colours of their rivals in football. Instead of sitting back and letting the city argue over the ordeal Alex put his incredible PR skills to use by starting a local petition. Currently working at PR agency Bluepost, Alex knew the best way to give the city what they wanted was by giving them the opportunity to make it happen themselves. That is exactly why Alex created an online petition, making sure to share on social platforms such as Facebook and Twitter. Though the petition didn’t seem to create an immediate solution, the more awareness created through persistent social presence, the more signatures and before he knew it the petition had a massive 3k followers in 24 hours. According the Alex, the next obvious strategy was to start contacting the media which was no hassle at all as a PR professional. After another 24 hours and many phone calls to local and national papers like the Mirror and Guardian, the petition had nearly 10 thousand signatures. 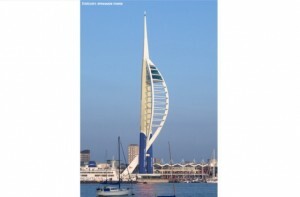 More information on the Spinnaker Tower painting controversy can be found here. Posted July 5, 2015 . Filed under CMC News, Extra-curricular, Students. On 2 July 2015 BU Advertising and Marketing student Sam Guinivan won one of 6 coveted D&AD ‘Pencils’ in the category for ‘New Blood’ for his idea of ‘Airbnb Now’. A huge congratulations goes out to Sam who won the award through incredible amounts of research and dedication with the help of his tutors, Don Parker, Senior Advertising Lecturer at BU, and Clifford Van Wyk, Senior Lecturer In Advertising & Market Communication. 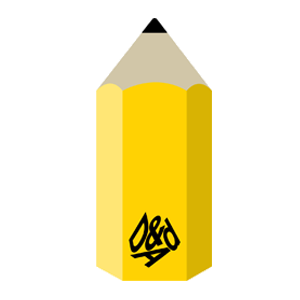 For more information on Sam’s win and D&AD, click here. Posted July 1, 2015 . Filed under CMC News, Extra-curricular, Industry, Students. The Big Issue Online Journalism training programme finished off last week with a gallery exhibition of the participants’ work, open to the public. 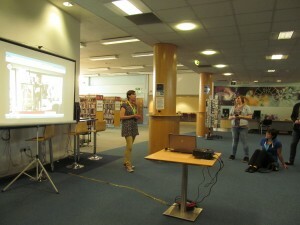 The event which took place in Poole Library featured articles and photos produced by the trainees during the 6-week course. The course, organised by the Big Issue, in collaboration with communications agency Poached Creative and Bournemouth University, targeted as participants Big Issue sellers or unemployed people with an interest in writing or photography. Its main aim was to equip the trainees with basic journalistic skills that would help them find their own public voice and offer a pathway to future employment. BU researchers Dr Ann Luce, Dr Dan Jackson and Dr Einar Thorsen were approached by the Big Issue to deliver part of the training, after their successful collaboration with Access Dorset – a charity for disabled people – on a similar project that aimed at empowering people with disabilities through citizen journalism. Many said the training had given them a clearer idea of what topics they want to implement in their work, and a better understanding of what editors are looking for in order to get their work published in the future. All of the participants had an artistic background and were engaged with writing, photography, music or painting – a hobby for some, a means for a living for others. Dr Dan Jackson and Dr Einar Thorsen – assisted by students Daniel Weissman, Naomi Mihara and Stefani Tasheva – also worked on evaluating the project through interviewing the participants prior to their training as well as after to learn about their background, their expectations of the course and their experiences throughout the six weeks, and in what ways it was beneficial to them. The data from these interviews will be disseminated in upcoming publications. Posted June 24, 2015 . Filed under CMC News. WHAT INSPIRED YOU TO SEEK OUT AN ADDITIONAL QUALIFICATION WHEN YOU WERE OUT ON PLACEMENT? Part of my role as a Digital Marketing Executive is to constantly evaluate our clients’ website position in Google search results, which includes using Google Analytics regularly. 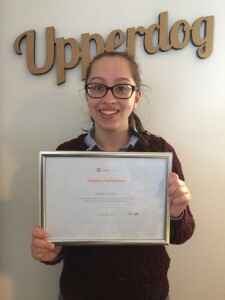 I wanted to gain a greater understanding of it to better serve the needs of my clients and when my boss, Zhara, mentioned that I could go for the qualification during my time at Upperdog I jumped at the chance! HOW WAS IT DOING YOUR PLACEMENT AND STUDYING AT THE SAME TIME? I think it’s all down to how you apply yourself. In planning my time I was able to use Upperdog (personal development) days and some weekend afternoons. The Google practice areas themselves are quite helpful in that there are mini quizzes at the end of each chapter so you can see where your weak points are and work to improve upon them. WOULD YOU RECOMMEND IT TO OTHER STUDENTS? IF SO, WHY? Definitely! Greater understanding in your field of work always makes you better at your job and I learned extra things that I wouldn’t have from just using Google Analytics day to day. The course helped me to understand the processes behind Analytics and how best to work with it. 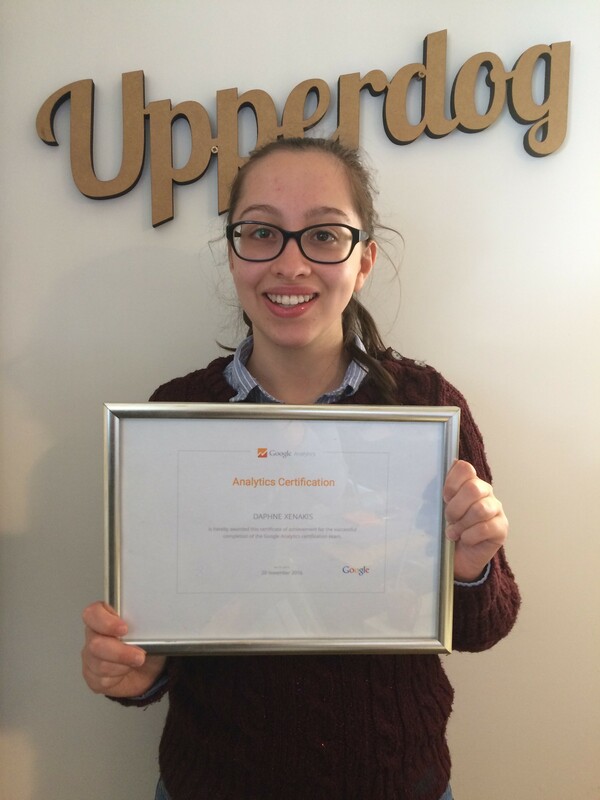 Without a supportive and understanding employer like Zhara and Upperdog, I wouldn’t have been able to achieve it. Posted June 16, 2015 . Filed under CMC News. 1. What inspired you about this placement? I had always been interested in media subjects and so I targeted media companies and some fashion/cosmetic industries when applying for my placement. I was presented with an opportunity to work in my country Nigeria. Although this was far from my initial plan for my placement year, due to personal issues it was a responsible move I had to make to work in my hometown, Abuja. So while there was no initial inspiration to work in Nigeria despite my situation I still tried to get a job in a media company, and I believe I made the right decision! 2. How have you found working life? Since I started work I have appreciated Nigeria as a country even more and have learnt to adapt to the working environment here. You would think working in the town you’re from would be easier, however if anything, working here as been one of the most challenging and mentally stimulating experiences of my life so far. The change from being in England for over 3 years and coming home to work has been a shock, from people’s reactions and behaviours to how things are being done here…there’s a huge difference between England and Nigeria no doubt. 3. What have been some of your highlights to date? My first few weeks became exciting very quickly; I went on a trip to Lagos, which is one of the most vibrant and fast-paced City’s in Nigeria. 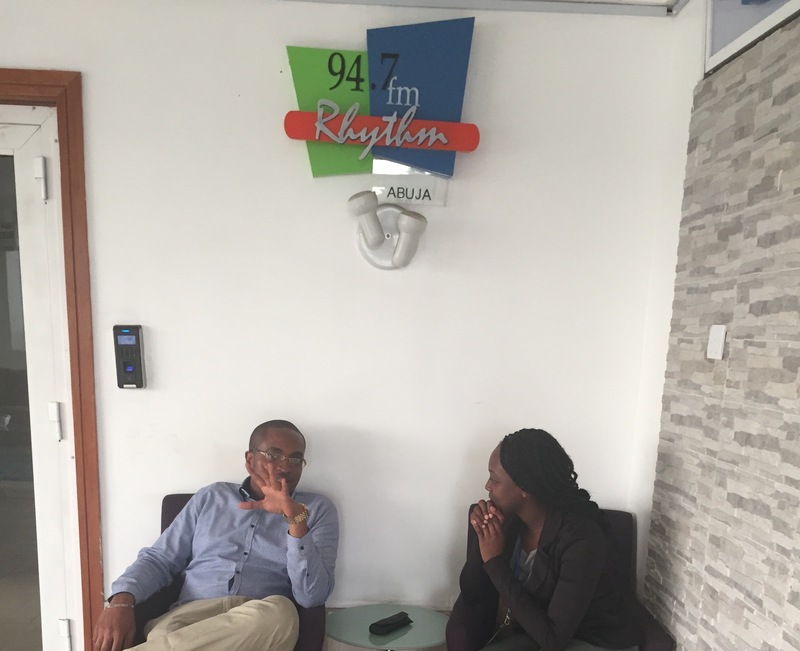 I attended a brainstorm meeting there with some of the leading heads of the company and contributed to the conversation, discussing marketing strategies and potential clients, and giving suggestions on the direction Silverbird should be heading to. It seemed I was prepared for any task handed to me; however what I wasn’t prepared for was this. I shared the same floor as Ben Murray-Bruce who is the Chairman of Silverbird group; someone I had always looked up to and admired. What was daunting was not only that I was working closely with him, it was what I was working on for him. He decided to run for Senator of his state, and therefore, between trying to advertise and manage marketing relationships with our clients at Silverbird, I was also involved in his campaign team as an advisor. Occasionally I would be asked to write articles for newspapers or to come up with campaign posters or TV ads based on the bills that he would pass to senate if elected. A high percentage of Nigerians were optimistic this year about the elections and believed that the Independent National Electoral Commission (INEC) would conduct free and fair polls. The Peoples Democratic Party (PDP) had ruled for four consecutive tenures, so for a total of 16 years, and on the 28th of March, the elections made history as the PDP lost to the opposition. It was the first time an opposition party won a presidential election since the inception of democracy in 1960. Ben Murray-Bruce also won his Senatorial race. It was exciting to see first hand how politics can play such an enormous role in developing a country and the effects it has on businesses. Politics tie into other national issues in Nigeria, because if bills were passed to resolve and solve some of these external issues, the country would be better, and businesses would be able to function faster and more efficiently. I was very proud he won and that I was a part of his team. 4. How have you found the support from the University, particularly with the placement reviews and your designated Placement Development Advisor? The support is amazing! Not just from the Placement Development Advisor, but from the University. I had a rough year last year and Colin Merrett and all my other Lecturers understood my issues. They supported and encouraged me so I could move on to my placement year. If I haven’t said it enough, thank you to everyone at Bournemouth University who have supported me. I am currently in the process of completing a 12-month placement as an International Marketing Coordinator at FC Business Intelligence Ltd. I work across two teams, FC Gas Intelligence and Petrochemical Update, with both teams focusing on producing and marketing whitepapers and industry events. 3. What inspired you about the placement? I have a lot of responsibility and I know my objectives for each show I work on. A lot of placement positions (especially at well-known companies) lack consistency in the type of work and the frequency of work an intern has to do. This isn’t the kind of placement I wanted and it’s not the placement I got. My company have made me feel like an integral part of the team and it has opened my eyes to strengths I didn’t realise I had. 4. How have you found working life? The culture at FC is really easy to settle into; most people are young and so there are a lot of after work drinks and dinners to keep us busy. There are a range of sports teams who compete in leagues with other companies in the area and we also have BBQs, charity days and teambuilding trips. There are 10 interns so we all know and support each other and find it useful to have each other to bounce ideas off. The ethos here is all about getting tasks done but not struggling in silence; they want us to work hard but if there is a problem we can seek advice from mangers. 5. What have been some of your highlights to date? I was really pleased to be asked to do some telesales for the team as well. Previously I was in charge of marketing and then my manager felt like I’d be good at telesales due to my phone manner with media partners, and since then I have started doing telesales for two different events. It was really great that they had recognised a skill of mine through my other work and wanted me to use it for a different job. 6. How have you found the support from the University, particularly with the placement reviews and your designated Placement Development Advisor? My placement reviews have gone very smoothly and required little hassle to set up and complete them. My advisor has been really useful to me as she has not only advised on this placement but has also advised on summer placements and extra things I can be doing during my time here. 7. My final words and advise to students on placement is to work as hard as you can and always be honest about how you are handling your workload. Don’t forget you want to do well but it’s just a job and everyone goes home at the end of the day to switch off and relax. If you do something wrong you won’t be automatically punished or fired; they will understand and help you rectify the situation so that you can ensure it doesn’t happen again. Ideas Camp 2015 will take place on Thursday, 11th June from 10.15am – 4.30pm at the Morning Room in the Russell-Cotes Art Gallery & Museum. The event is a day to share and generate ideas for collaboration across BU consumer researchers, consisting of four sessions: New Practices & Contexts, Food, Spaces and Human Consumer with topics ranging from ‘New Brand Perspectives’ and ‘Goodbye ethics, Hello Health – Exploring the vegan health trend’ to ‘Digital virtual possession as custody’ and ‘ The machinations of managing contingency’, plus many more! The day is intended to be informal in spirit (i.e. no powerpoints!) – simply a space to share and develop ideas. Please note, we need to vacate the room by 4.45pm (Museum closes at 5pm). A lunch and afternoon tea will be provided, and optional tours of the museum are available at lunch time for those who’d like one. Charles McIntyre, The Machine Ethic in work & Learning Spaces: Missed Opportunities in Aesthetic Stimulation? Jason Sit, Shopping Centres as a Community Space: What Does it Represent in the Past, the Present, & the Future? Posted May 25, 2015 . Filed under CMC News, Extra-curricular, Industry, Students. 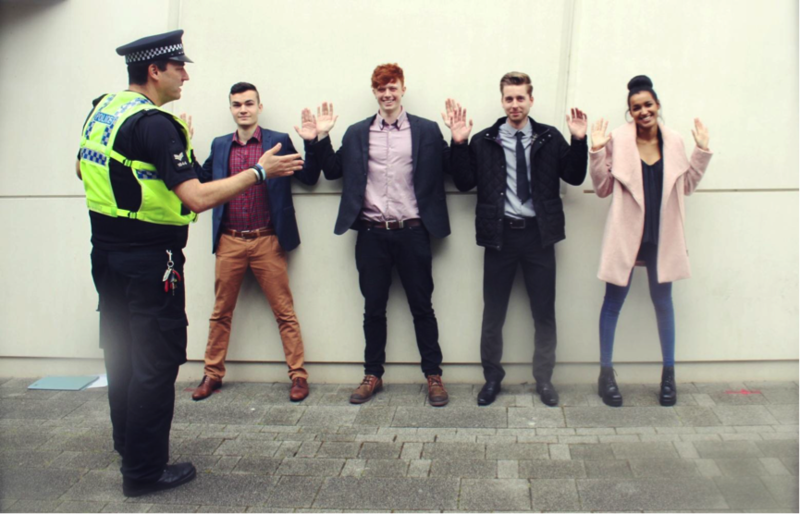 Bournemouth University students teamed up to work on a live brief project, aimed at helping local communities to collaborate better for a safer neighbourhood. 54 student groups battled it out, and last Friday, James Harrison (BA Marketing Communications), Rianna Hall (BA Advertising), Adrien Abbruzzino (BSc Marketing), and Dominic Needler (BA Public Relations) presented their campaign proposal to John Shave and Tim Stearn (Association of Dorset Watchers), Sgt. Guy Nicholas (Dorset Police) and Donna Atkins (Dorset Police Media and Communications officer). Sgt. Nicholas speaking on the behalf of the panel said: “I was very impressed with the presentation around future engagement of communities into building stronger and safer communities. I speak for the group when I say that they delivered a comprehensive overview of the project, taking into consideration all groups and how everyone could benefit.” Dr. Tauheed Ramjaun, who lead the unit assisted by colleagues Shenel McLawrence and Adrian Lawrence stated, “students had to work on a live brief as part of their assessment for this integrated unit. 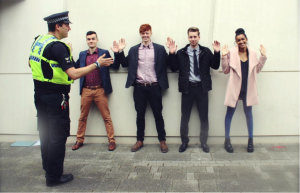 This year, the brief was particularly complex, but students took up the challenge.” This initiative facilitated by the University’s in-house business engagement consultant Liam Toms, is another example of the university’s commitment to encourage students to apply their knowledge to real-life community issues. Posted May 19, 2015 . Filed under CMC News, Industry, politics and media, Staff. 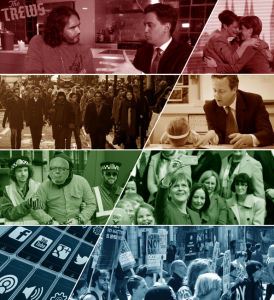 Dan Jackson, Principal Lecturer in Media and Communications and Einar Thorsen, Principal Lecturer in Journalism and Communication, have produced an early think piece on the 2015 election which you can access either through the website or PDF. An event at the House of Commons around this publication has also been organised for next week. The idea began in January with a “wild” idea of doing a snap publication of which Einar mentioned was met with remarks such as “great idea but I think you’re mad!” At this time the election result was expected to be a hung parliament in which case Einar and Dan created contingency plans for. However, out of all the plans the one they didn’t prepare was for the actual result. The great part of this report is the interdisciplinary and breadth. The election pamphlet includes various cracking pieces, and Dan and Einar are really pleased with the level of quality overall. Einar explains the creation of the document included a combination of targeted invites to people they knew were already researching the 2015 election, together with an open call to various academic email lists. It seemed to strike a chord with many people and they got an incredible response from everyone. 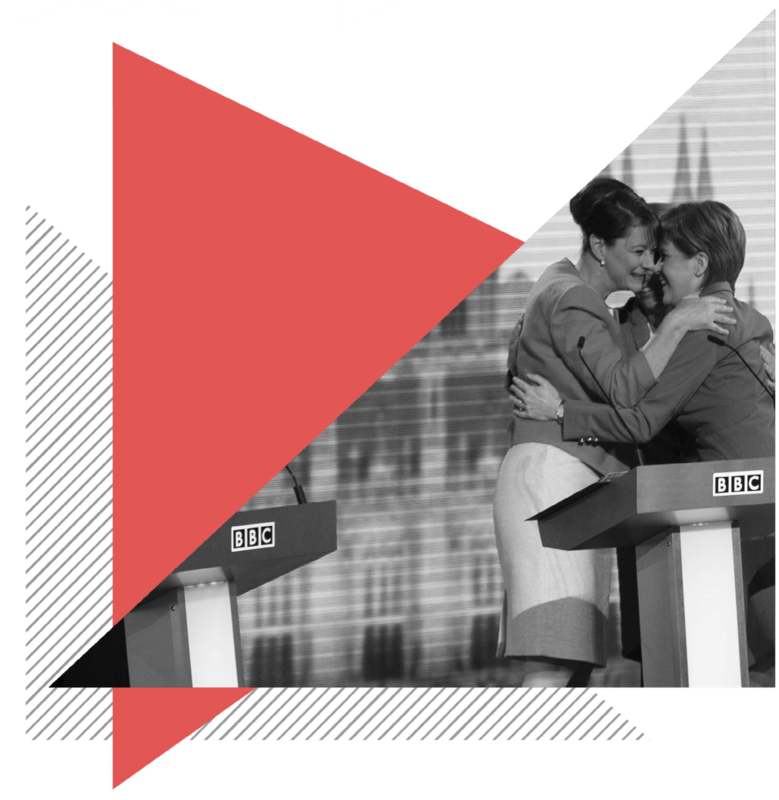 Before the actual election the design and build of the website was also created…in only 5 days. Thanks to Auguste Janutaite, Ana Alania and Rob Munday this was done magnificently! 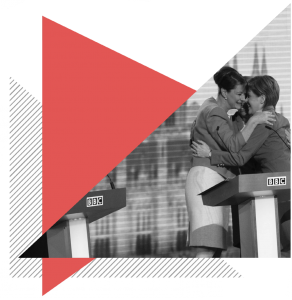 It isn’t possible to summarise a publication with 73 different contributions, other than to say it provides a rich and diverse insight into the election. Dan and Einar asked authors to keep their contributions short and concise so they would appeal to a broad and non-academic audience, and are really pleased with how it turned out. To find out more about the articles and information within the document, you can read it on PDF or on the official document website here.